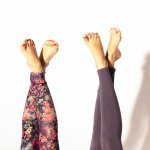 The classic legging is timeless, simple, and comfortable. Learn how to draft a basic legging pattern and maneuver knits. Then use either a serger or sewing machine to put it all together. You will leave this class with a pattern that can be made countless times. 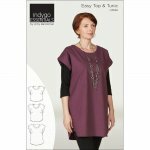 This beautiful tunic is simple in design thus allowing you full creativity to take it in any creative direction you choose from choice of fabric to strategic embroidery embellishments! Looking for the perfect fit from your pattern? 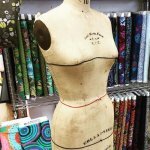 In this class, you will learn how to modify existing patterns to fit YOUR body shape. All methods taught in this class will transfer across all patterns. Pass through the heat of summer to the cool days of autumn in the Felix dress! The loose, breezy shape is perfect on its own or layered with tights and a cardigan. Tired of having to hire someone for every nip and tuck? Give the tailor a rest and learn how to do your own hemming. We'll dispel the mystery of the hemming and help you save time and money.